The one thing better than a traditional pound cake is a cream cheese pound cake! I had some friends yesterday, and I made this cream cheese pound cake over tea, it was perfect! Check it out. 1 ½ cups of butter. 3 cups of white sugar. Cream together the butter and cream cheese until smooth in a large bowl then add in the sugar gradually while beating. Add two eggs at a time while beating then add in the flour and mix to combine. Mix in the vanilla extract. In a greased and floured 10 inch tube pan, pour the batter and bake for 1 hour and 20 minutes in a preheated oven to 325°. Easy, peasy and yummy! 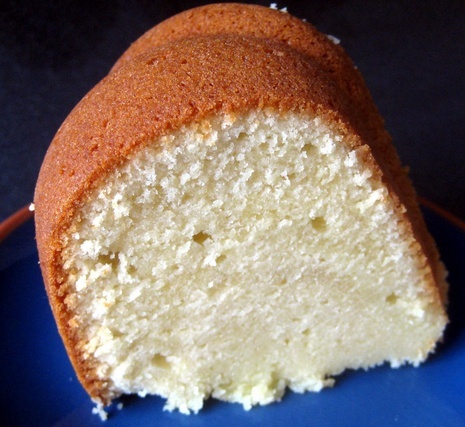 The cream cheese adds an amazing flavor to this incredible pound cake. Just give it a try, you won’t regret it!